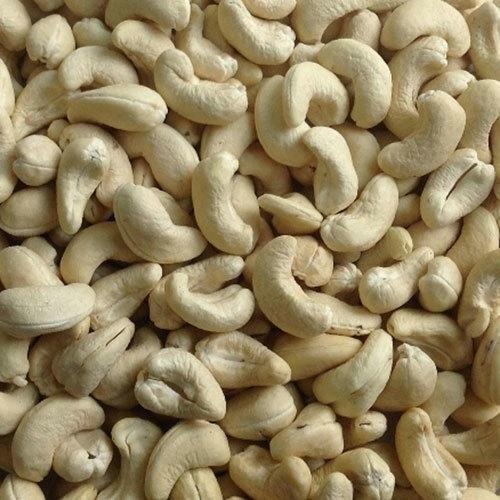 To complete the different necessities of our customers, we are occupied in offering a varied range of W400 White Whole Cashew. We offer this product at nominal costs. Established in the year 2013 at Maharashtra, India, we Sunmark Global Exports Private Limited, are engaged in manufacturing, exporting, trading and wholesaling a pure & hygienic range of various types of products that includes Raw Cashew Nuts, Fresh Cashew, Flavoured Cashew, Fresh Kismis, Fresh Almond, Sugar, Rice, Teak Wood & pharmaceuticals . These products are packaged as per the worldwide industry norms and are identified for longer shelf life, natural freshness and high nutrition content and affordable prices. Our offered products are also sternly inspected against varied parameters in order to provide pure series of products. In addition, we also offer customized packaging options of our products to complete the customer’s demand and need. Moreover, we work right from sourcing the raw material up to finished packing, We have set our own quality norms which place our products in the accepted levels and expectations of various categories of customer approach. we are exploring newer areas of growth and have been proficient to cope up with our client necessities.